I'm a proud member of Western Rivers Conservancy, and I got a very interesting e-mail from them today. The e-mail was a heads-up about a movie I heard a lot of buzz about during the past couple of months. 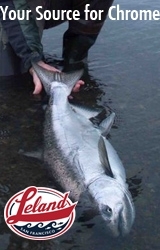 "Rivers of a Lost Coast" -- a movie about the legendary steelhead and salmon rivers and anglers of Northern California -- is showing in cities and towns throughout the Northwest for the next week or so. I haven't seen this movie yet, but the trailer on the "Rivers of a Lost Coast" website got my blood pumping -- and boiling. The movie is a documentary about the fabulous rivers -- now shadows of what they once were -- that attracted some of the best fly-rod steelhead anglers in history to Northern California. The movie also tells the stories of the legendary, eccentric anglers -- such as Bill Schaadt -- who spent their entire lives fishing these waters. I suspect that this movie will make us look at our salmon and steelhead and wild trout rivers -- and remind us of what we have and what we could still lose. May 9 (This Saturday): "Rivers of a Lost Coast" will be shown at 8 p.m. at the Kane Hall Auditorium at the University of Washington. 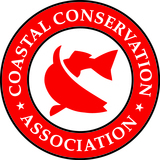 A reception will start at 6 p.m. Tickets must be purchased from the Wild Steelhead Coalition. May 12: "Rivers of a Lost Coast" will be shown at the David Minor Theater in Eugene, Oregon. Tickets are available at the Caddis Fly Shop. Doors open at 5:30 p.m. and showtime is 7:30 p.m.
May 13: "Rivers of a Lost Coast" will be shown at the Catlin Gable School in Portland. Showtime is 7 p.m.
May 14: "Rivers of a Lost Coast" will play at the McMenamins Theater in Bend, Oregon. Showtime is 9 p.m. and alcohol will be served. No minors are allowed at this show. May 15: "River of a Lost Coast" will play at the Ashland Community Center. Tickets are available through the Ashland Fly Shop. For more information, call 1-541-488-6454. More information on this movie, which will probably make all of us laugh, cry and get mad, is available at riversofalostcoast.com. I'm probably going to the Portland showing, and I hope to see you there.